This past week I pulled out a copy of a personal vision statement that I wrote as part of my Master’s program in 2010. The document describes what I expected to be doing in 2015. Little did I know back then how much change would actually have occurred! But I found it interesting to see how closely the vision statement matches my current situation. For example in 2010 I wrote, “I will be seen as a go-to-person for input, fresh ideas and counsel” — a role very much in keeping with my work as an Executive/Leadership Coach. The most significant divergence from my 2010 predictions for 2015 is my employment situation. In 2010 I wrote that I would have a specific position within the organization I was with at the time, “…direct[ing] the marketing and sales function at the highest level”. As it turned out, I left that organization last year and started my own practice as a coach. However seen through a different lens, the role that I described for myself at the time aligns perfectly with my work as a coach: “I will facilitate [my client’s] success and watch the influence of [their] organization[s] grow,” and I am in fact directing a marketing and sales effort, but on my own business’s behalf. A couple of weeks ago I completed another activity for the current course I am taking, a one page business plan (Horan, 2013). The plan is a one page snapshot of what my business will look like at the end of 2016. The process also allowed me to look ahead another five years to visualize where I will be in 2020. Both the exercise in 2010 and the one I just completed are not just “fun” exercises to fantasize about one’s down the road, but an opportunity to reflect on where one wants to be and then create the plan to get there. The exercise I completed in 2010 was the culmination of a whole year of looking at myself as a leader and what that meant. The exercise that I just completed was the culmination of a seven month process of becoming an Executive Coach. Both took time and considerable thought. My lesson from this is the importance of goal setting, visualizing and then strategically planning for the future. Most of us know that it is important to do goal setting — we are inundated with this message by time-management gurus, management consultants and LinkedIn posts — but how many of us actually take the important time out to put something down on paper? So why not start now? 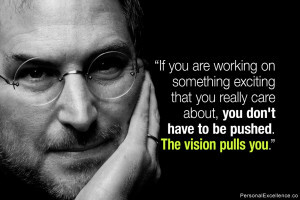 What is your Vision: What are you building? Strategies: How will you build this business? 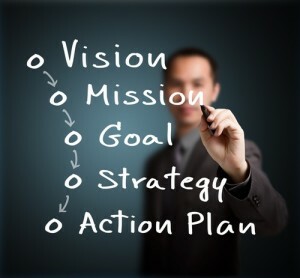 Action Plans: What is the work to be done? The One Page Business Plan Company, Berkley, CA.